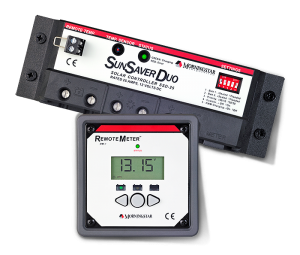 Click the button below to add the SSD-25RM Sun Saver DUO 25 Amp Regulator with Remote Meter to your wish list. 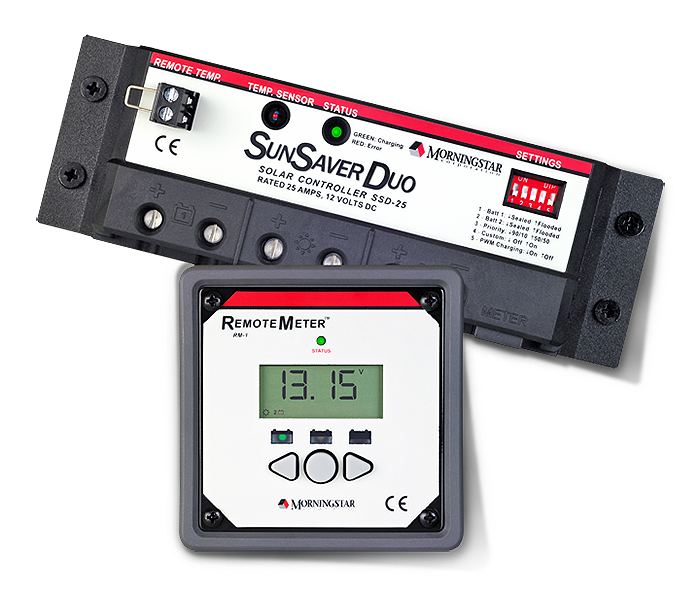 Morningstar SunSaver Duo ™ is an advanced PWM two battery controller for RVs, caravans, boats and cottages. Designed for 25 amps at 12 volts DC, at the same time calculate this product of two separate batteries and isolated as a “house” and an engine battery, based on user selectable priorities. This controller also includes a backlit remote meter which may be mounted in or on a wall, and displays digital image and status information about the solar power system.